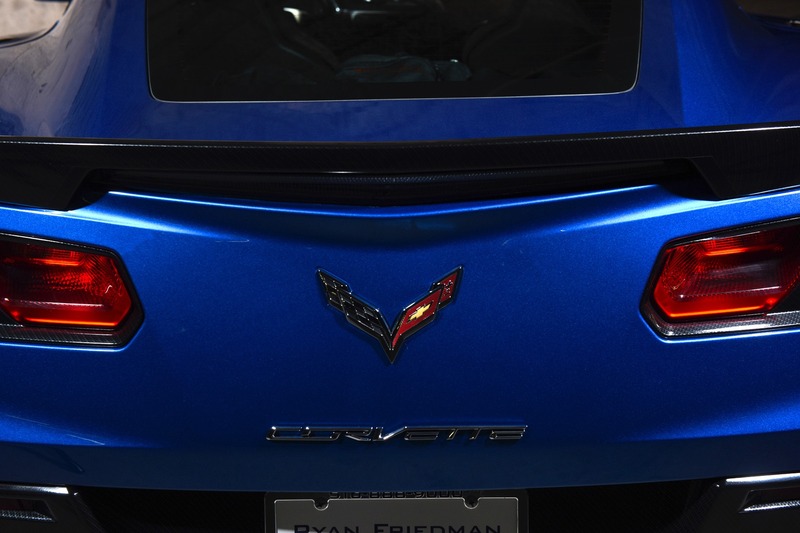 Do you ever dream of owning a Corvette? 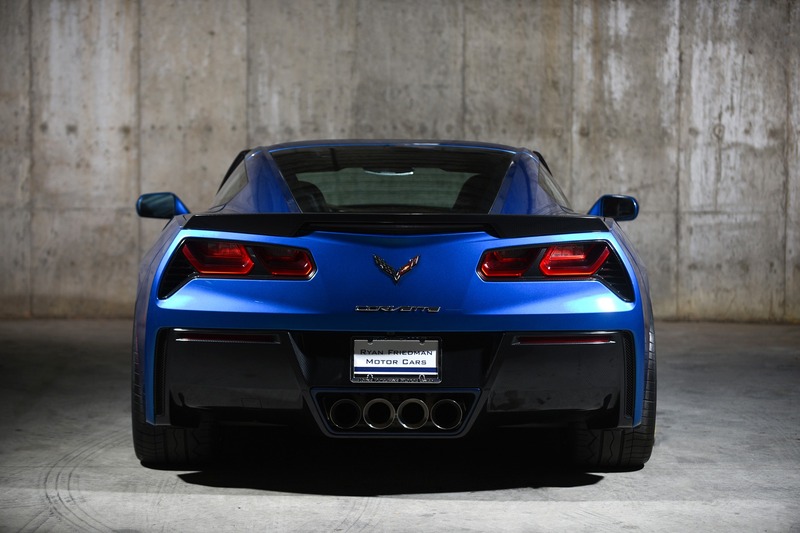 Do you go through listings looking for that perfect C7? 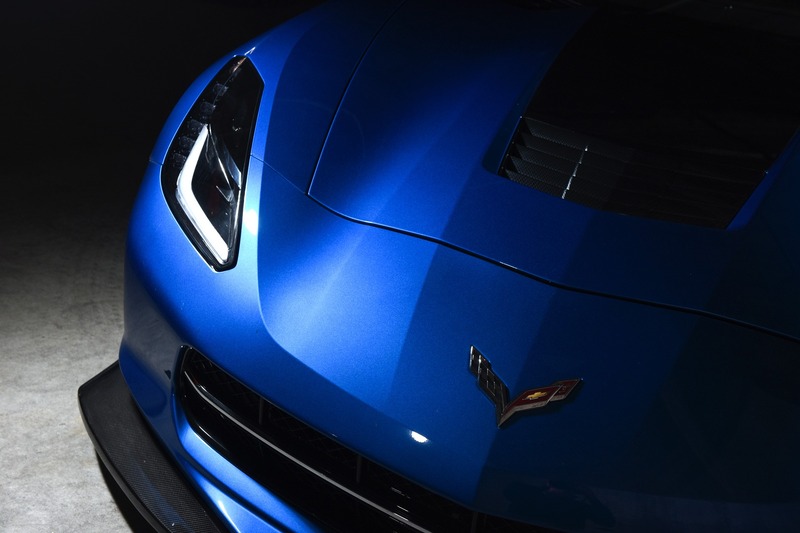 Look no longer, the chosen C7 is here. 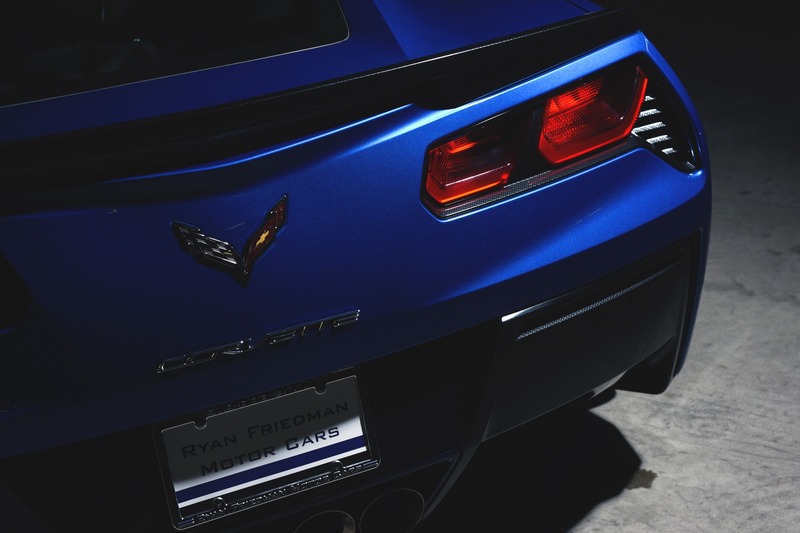 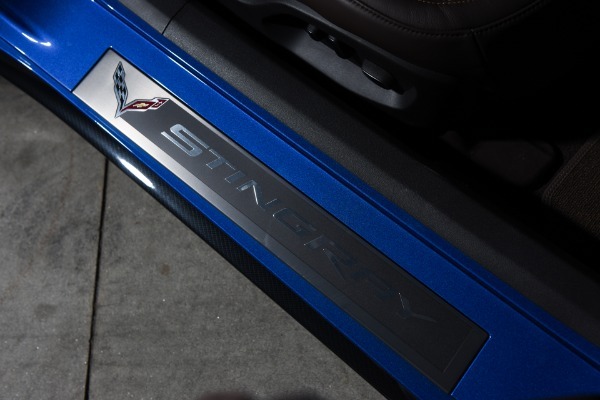 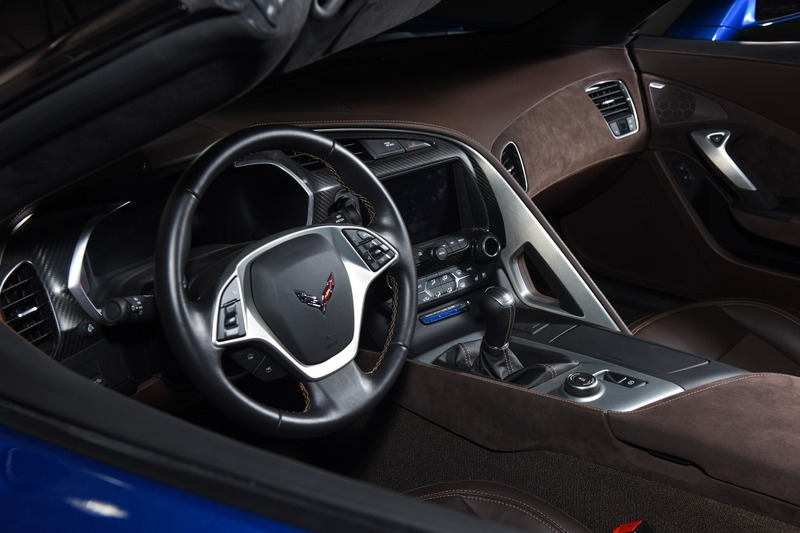 This premiere edition Corvette is not just another standard run of the mill C7 Vette, its numbered and even has a special unique vin tag starting with 3000001 indicatiing its one of the first 500 C7's ever to roll of the Bowling Green assembly line. 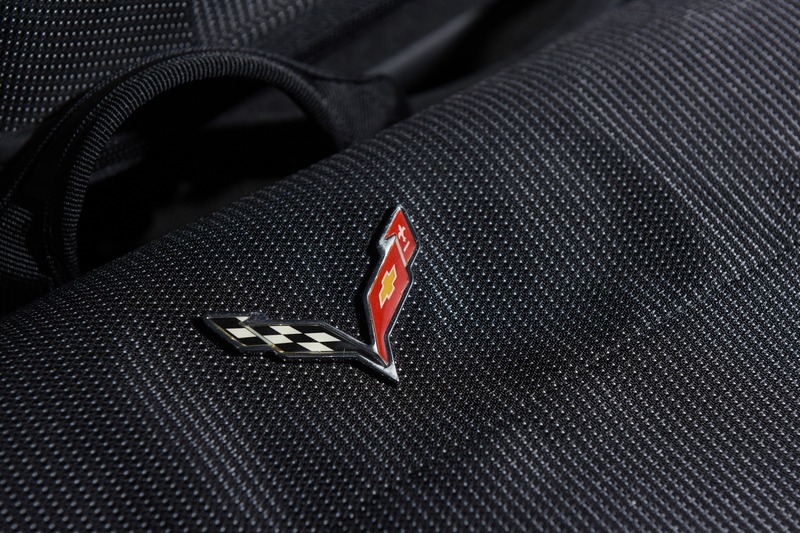 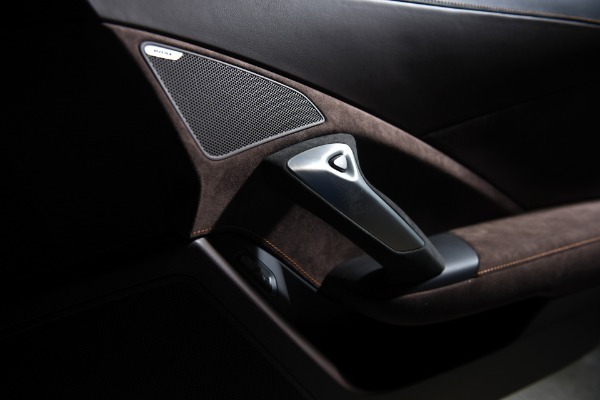 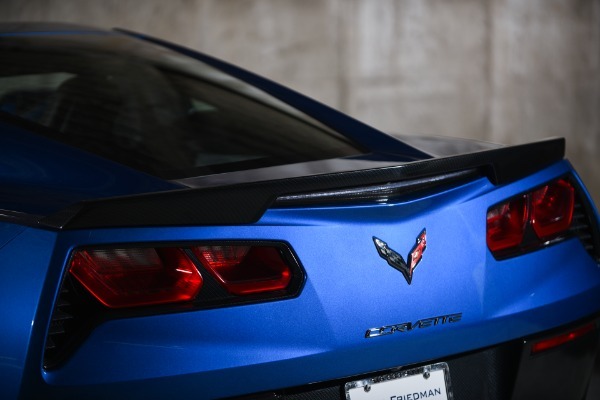 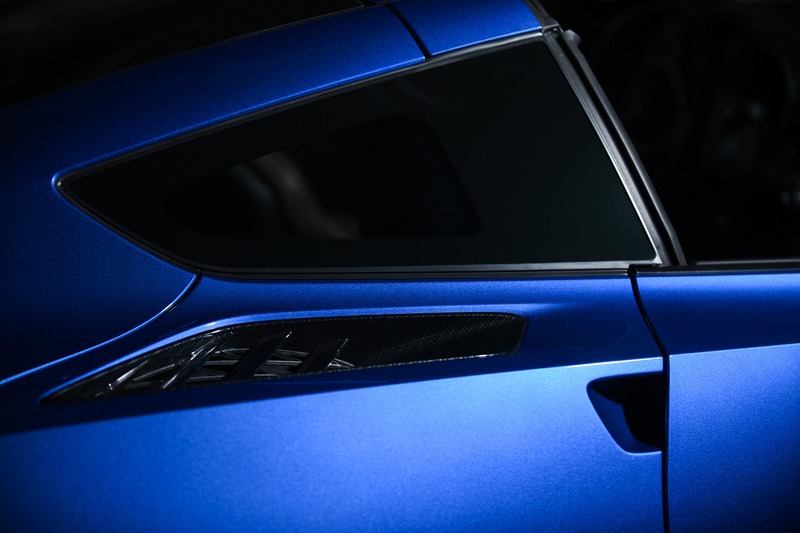 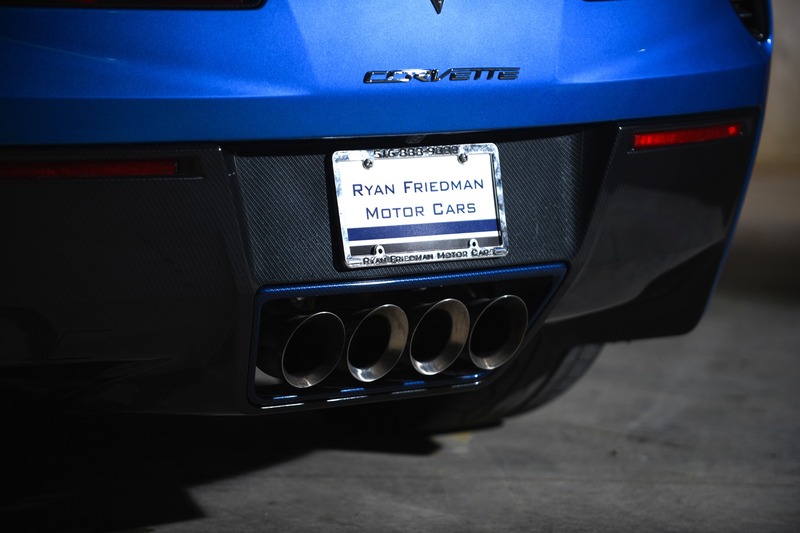 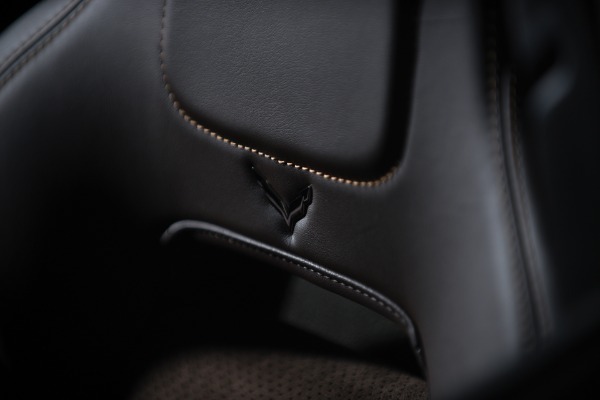 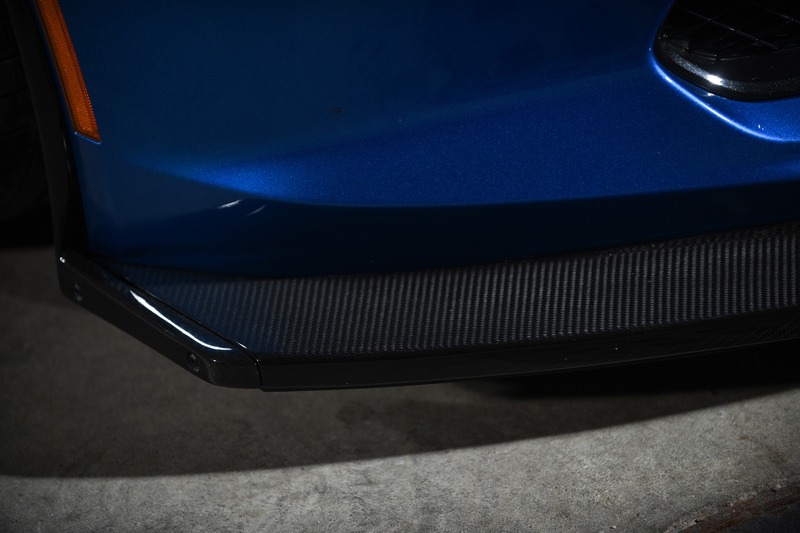 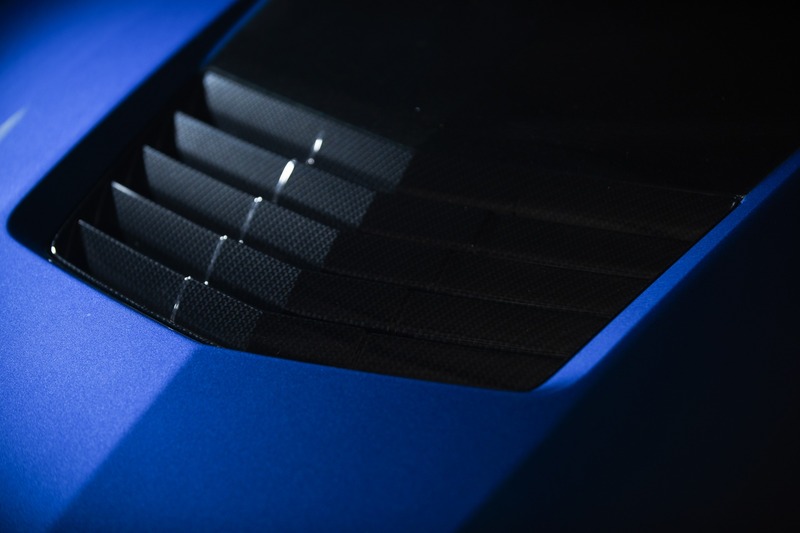 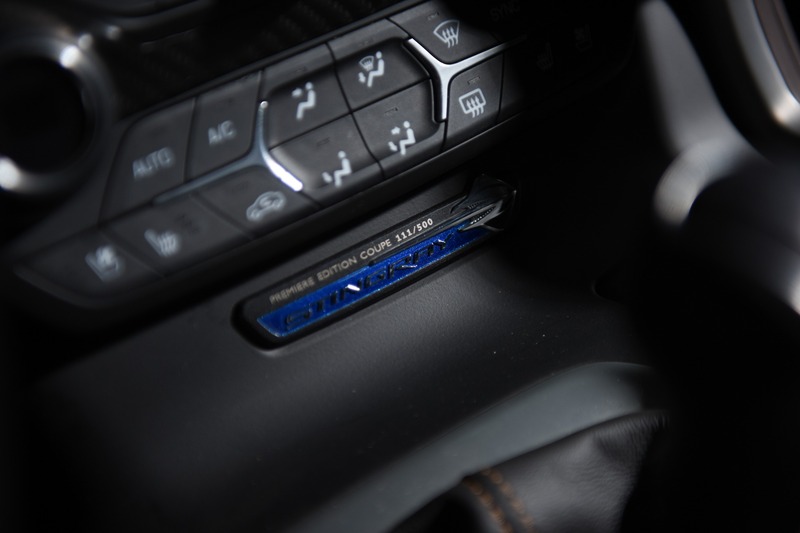 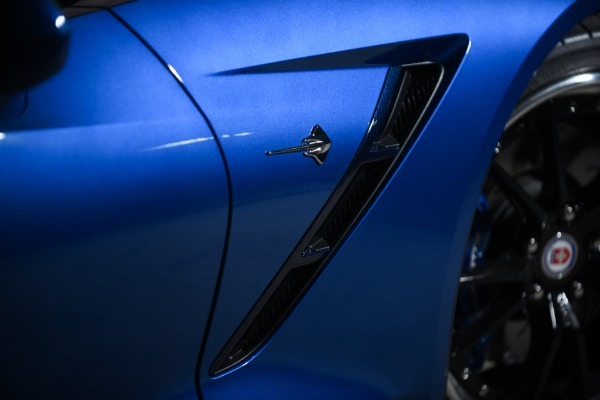 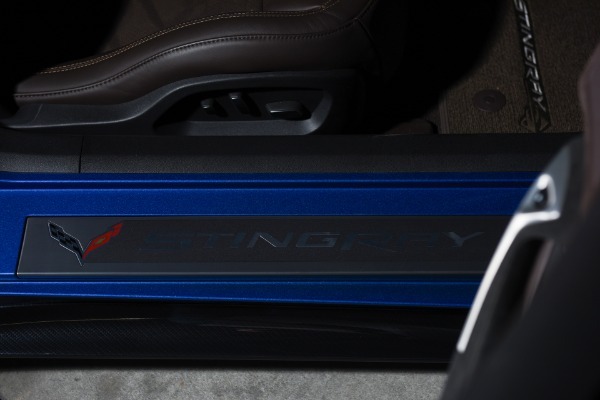 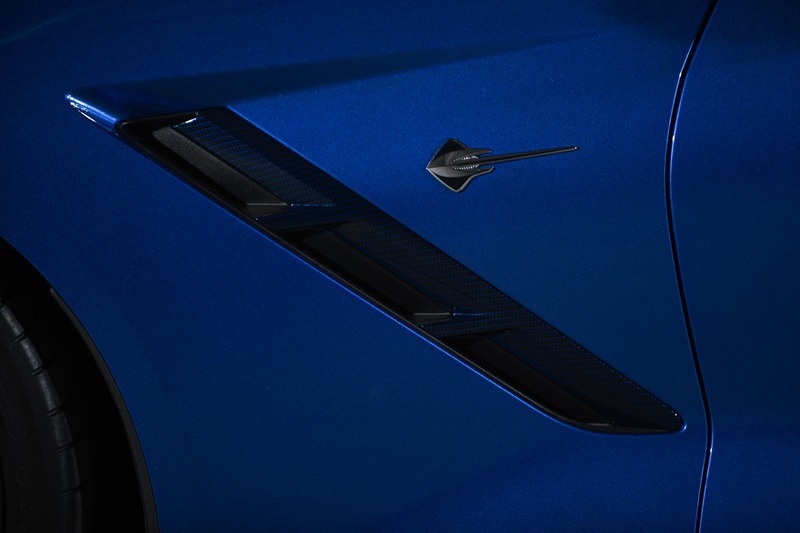 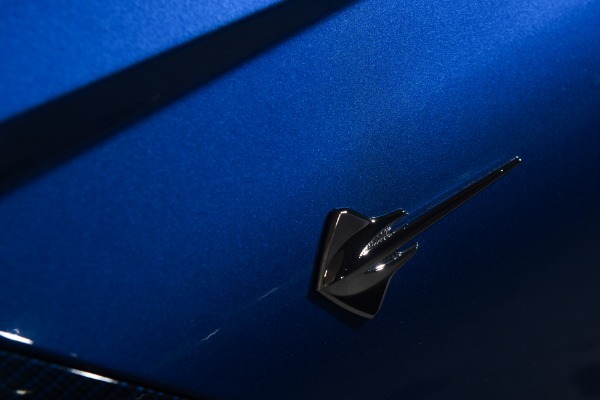 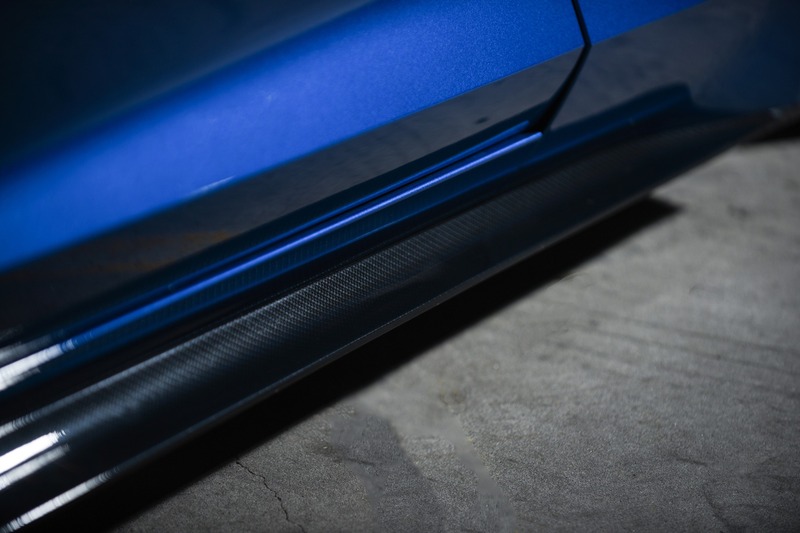 Each premiere edtion Corvette has unique touches including the light blend hood insert/stripe,bespoke carbon fiber appointed throughout the upholestry, sill plates and other rare individual touches from the factory. 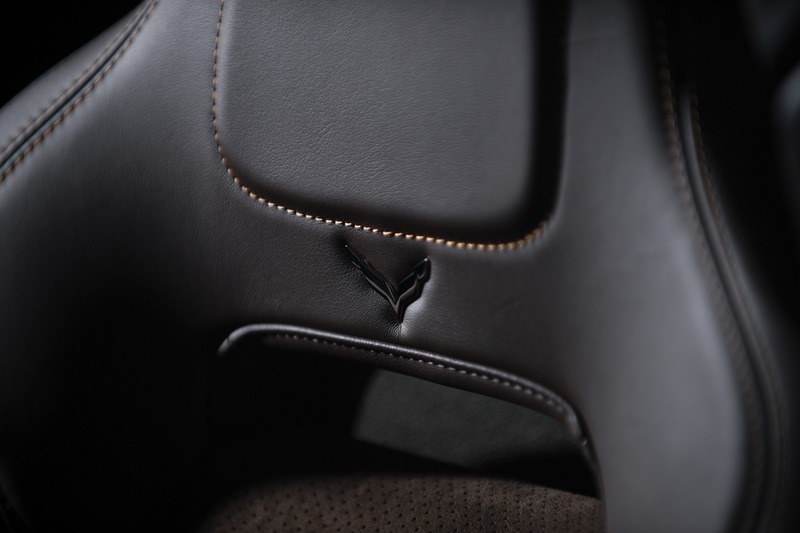 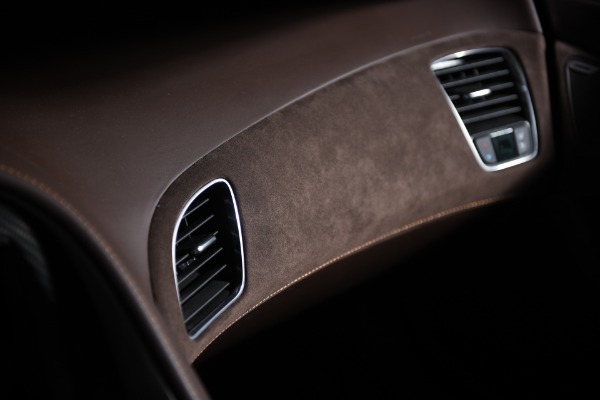 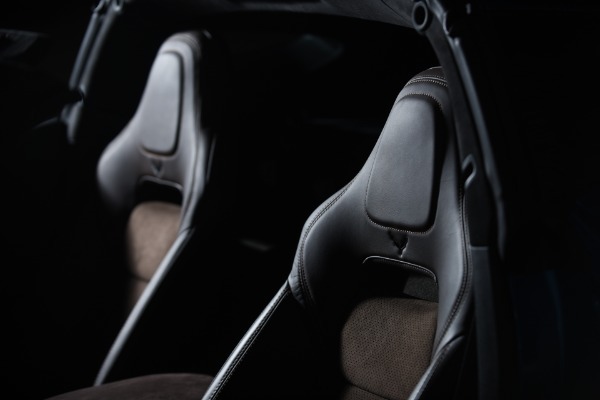 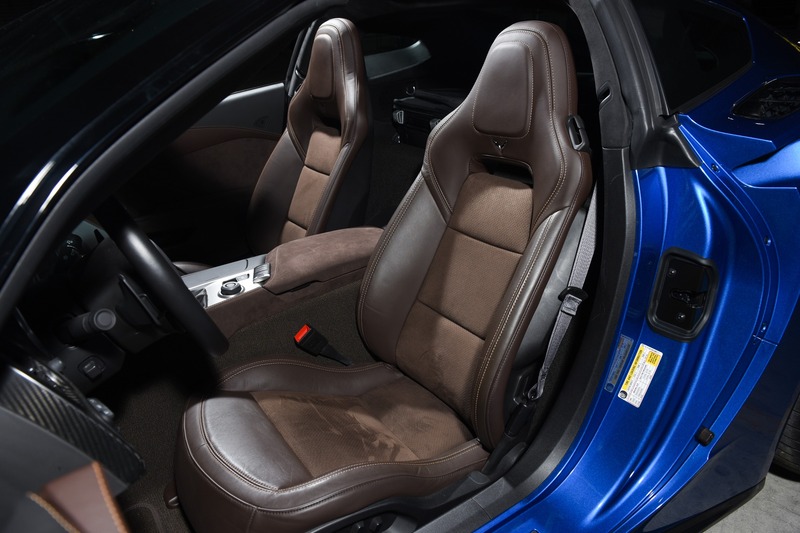 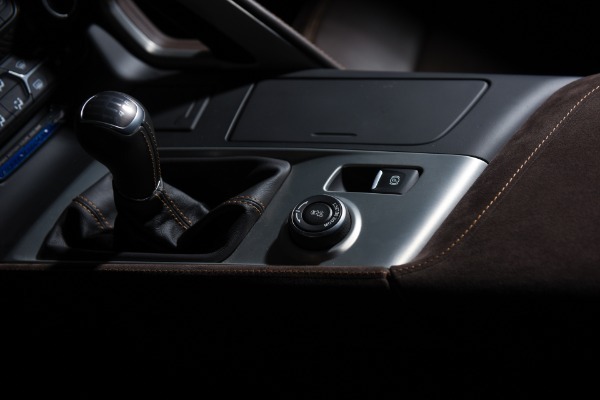 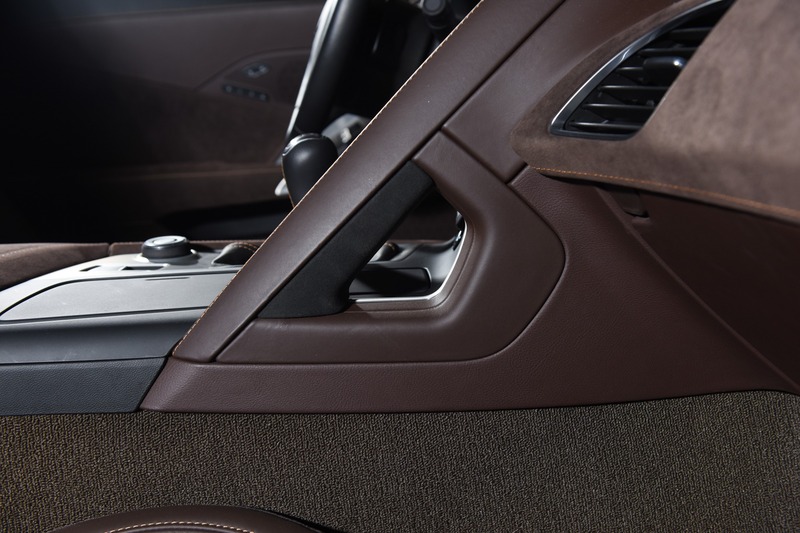 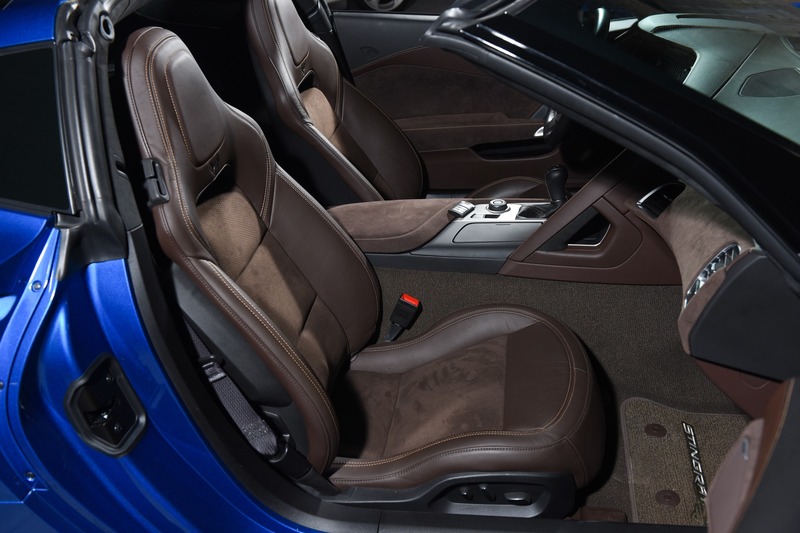 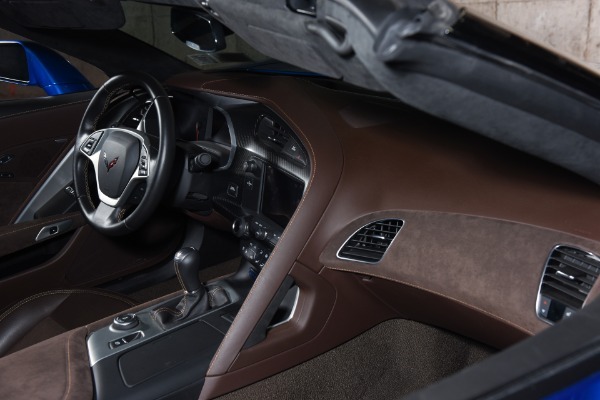 The 3LT trim level appoints Browntsone leather and unique suede surfaces all throughout the interior giving this Vette a true exotic feel that most enthusiast dream of. 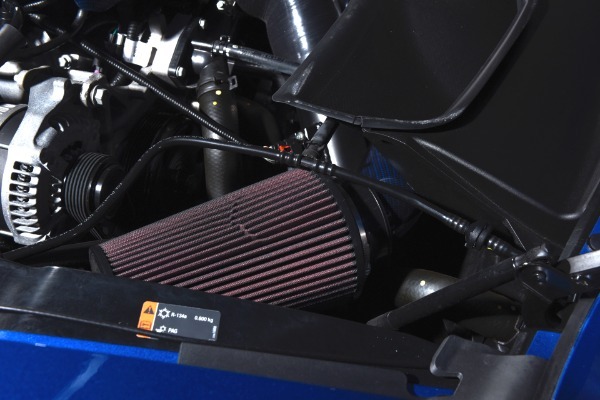 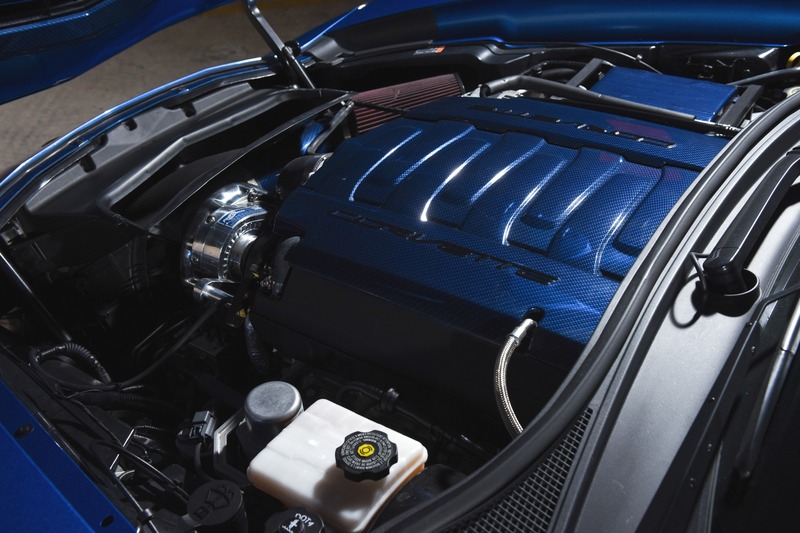 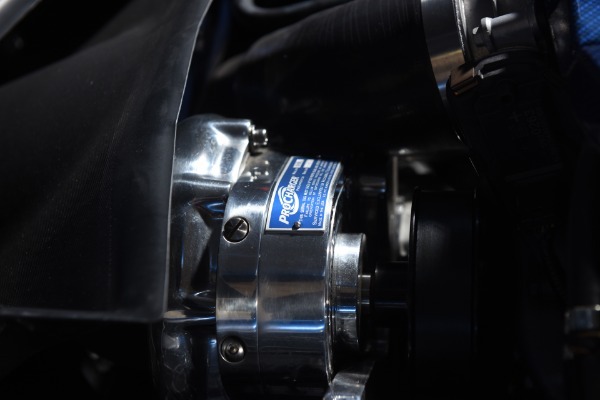 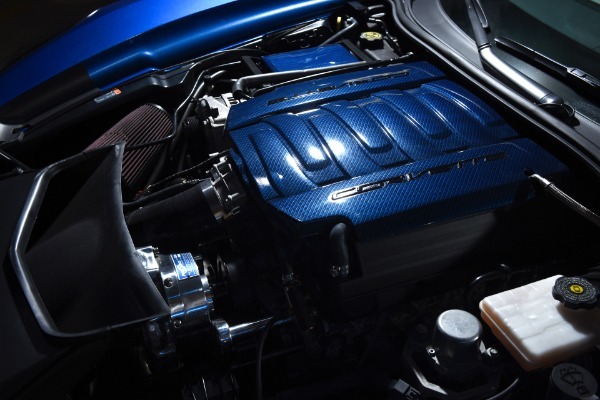 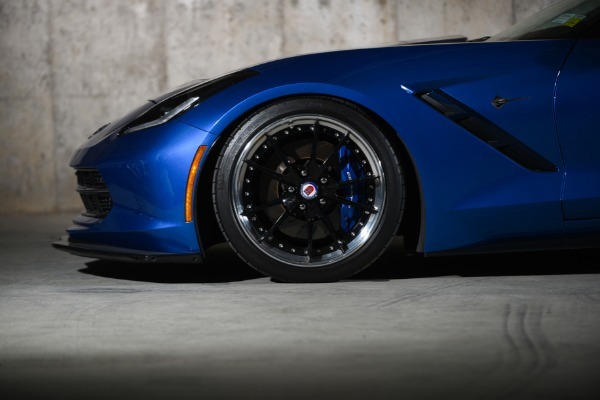 Standard from factory the car is appointed with the z51 package as well, giving it many perofmance improvements including and not limited to better cooling, slotted rottors, limited slip differential, and a dry sump oil system. 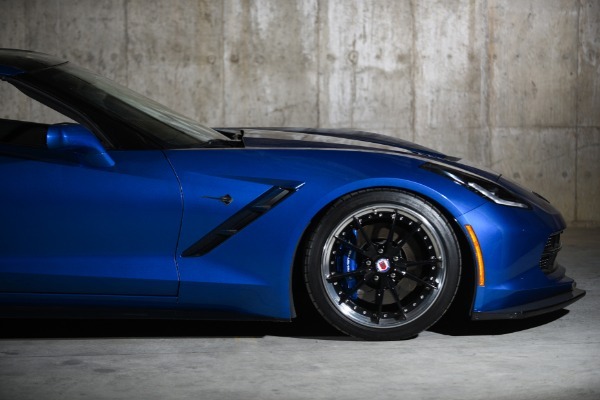 As with all premiere editions this Vette comes standard with magnetic suspension. 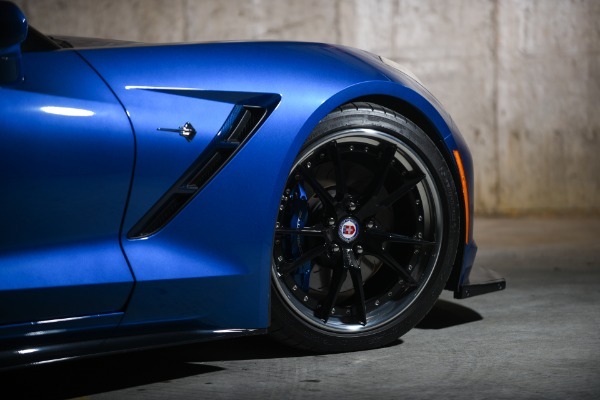 The magnetic suspension that GM developed in conjuction with C7 has gained and been awarded the best merits and achievements in the automotive industry that manufacturers aspire for. Magneride was even adapted by Ferrari, as they say, Immitation is the sincerest form of flattery! 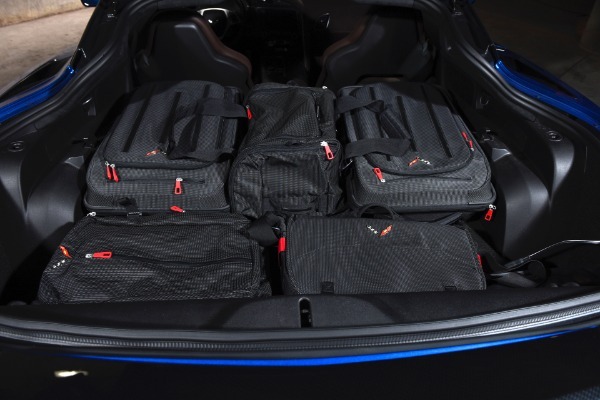 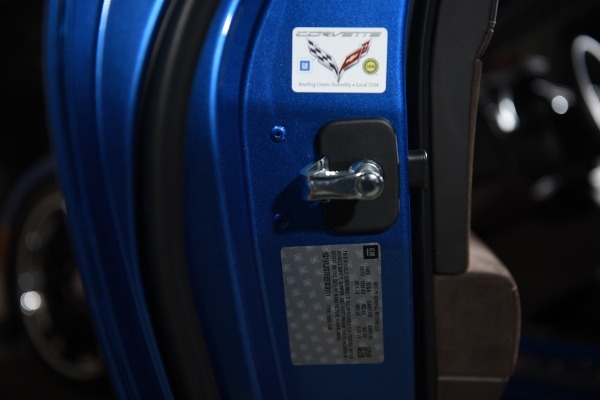 This car also comes with a special Thule luggage set exclusive to Premiere edition Vettes, weekend getaway anyone? We saved the best for last. 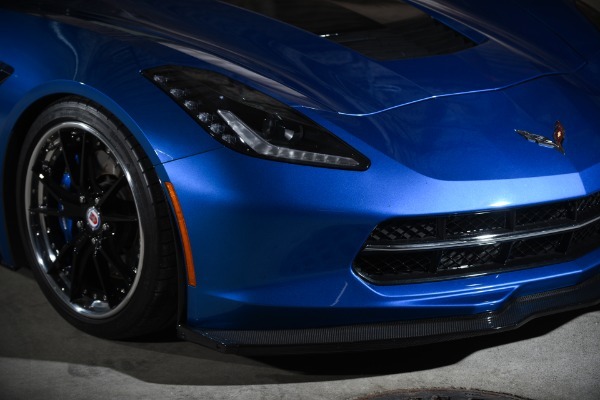 This Vette wears a set of HRE's that are absolutely stunning, unique carbon fiber accents throughout the exterior matching the Laguna tricoat, and a procharger that will leave Z06 owners scratching there head. This c7 was built by a shop that is one of the premiere shops in the country, not only does it have a procharger but long tube headers! 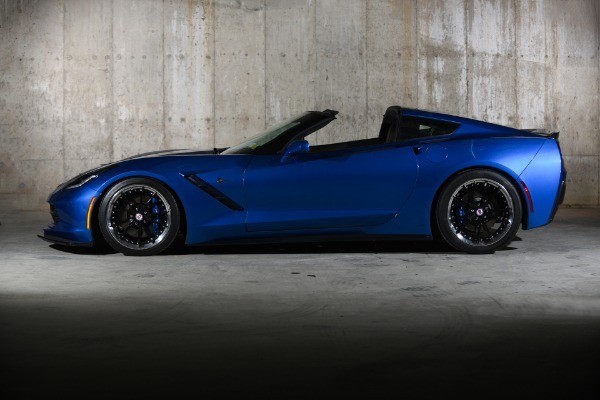 The devil is in the details and well the sound this Vette emits is not for the faint hearted and will have your senses tingling once you fire up this beast. 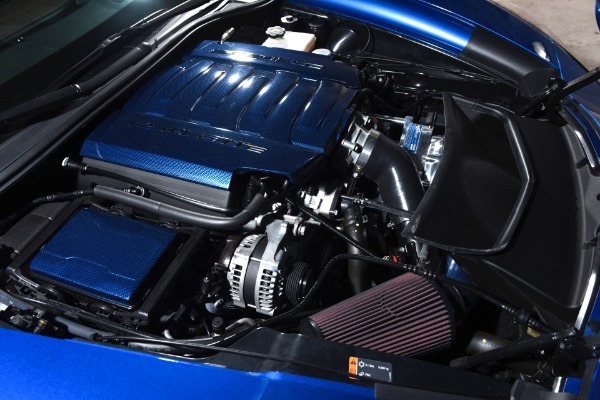 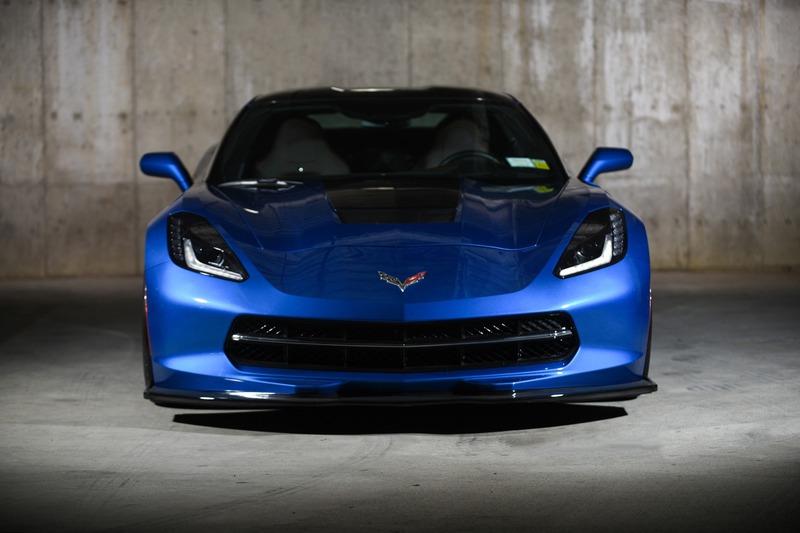 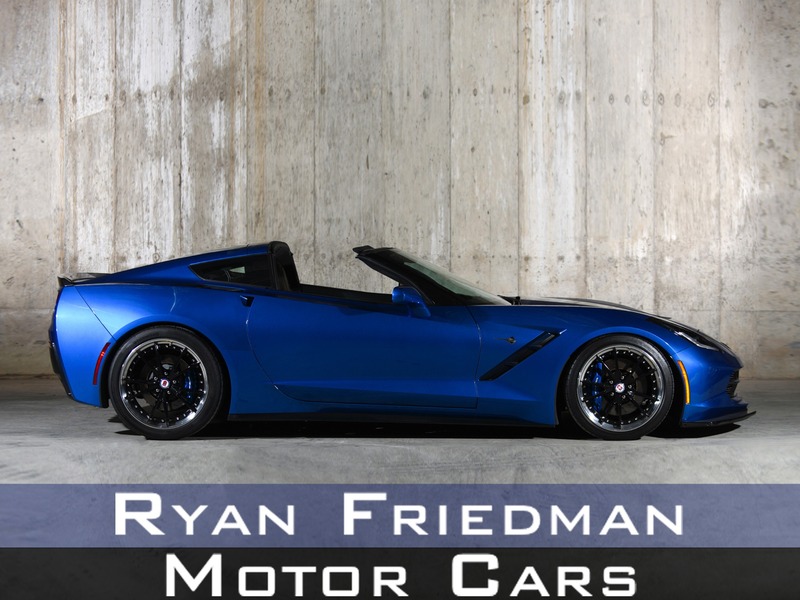 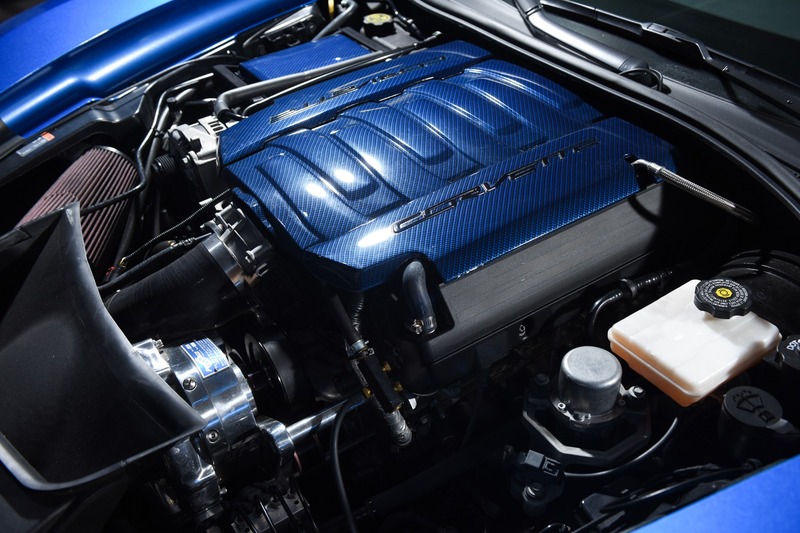 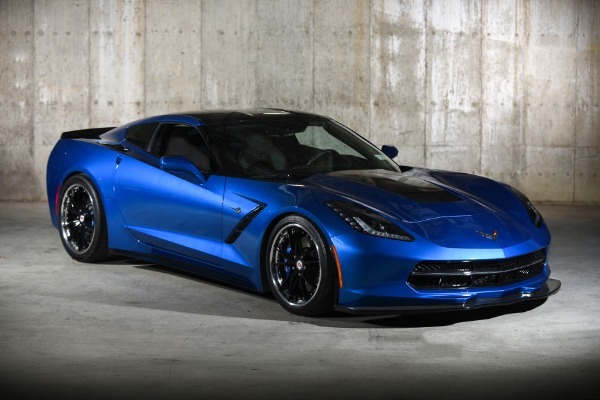 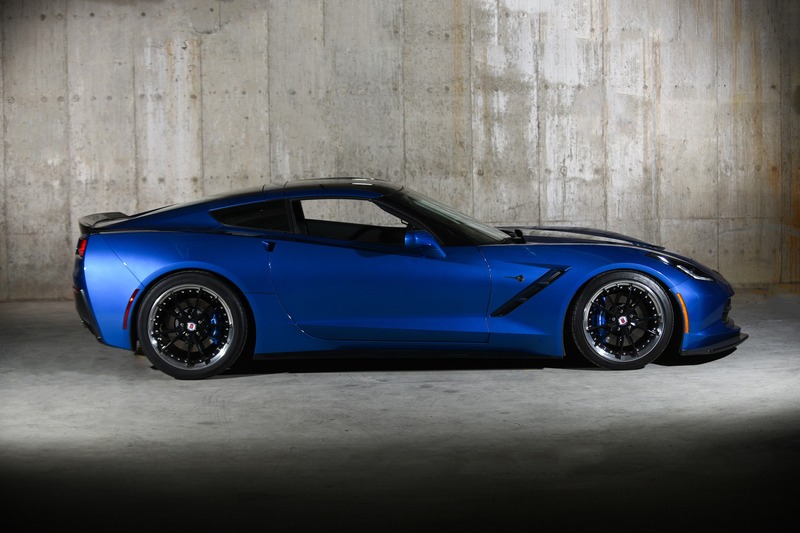 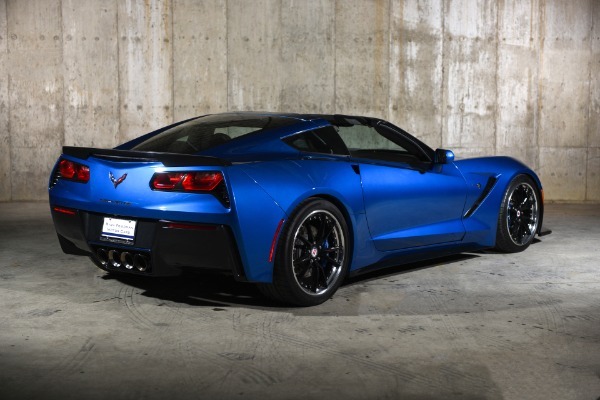 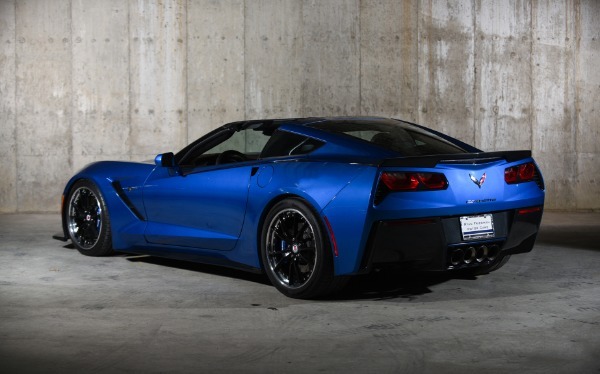 Premiere edition procharged Corvette...what modern american racing legends are made of.